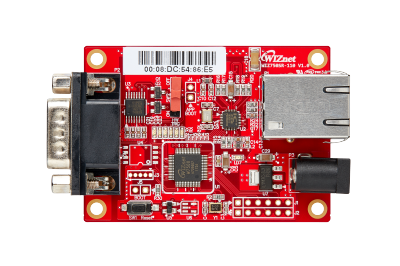 W7500S2E-R1 | WIZnet Co., Ltd.
W7500S2E is a series of industrial grade serial to Ethernet module. It supports TCP server, TCP client and UDP modes. The maximum baud rate of the serial port is 460,800bps. W7500S2E supports WIZS2E ConfigTool (Configuration Tool for Windows®), web page and AT command for configuring. 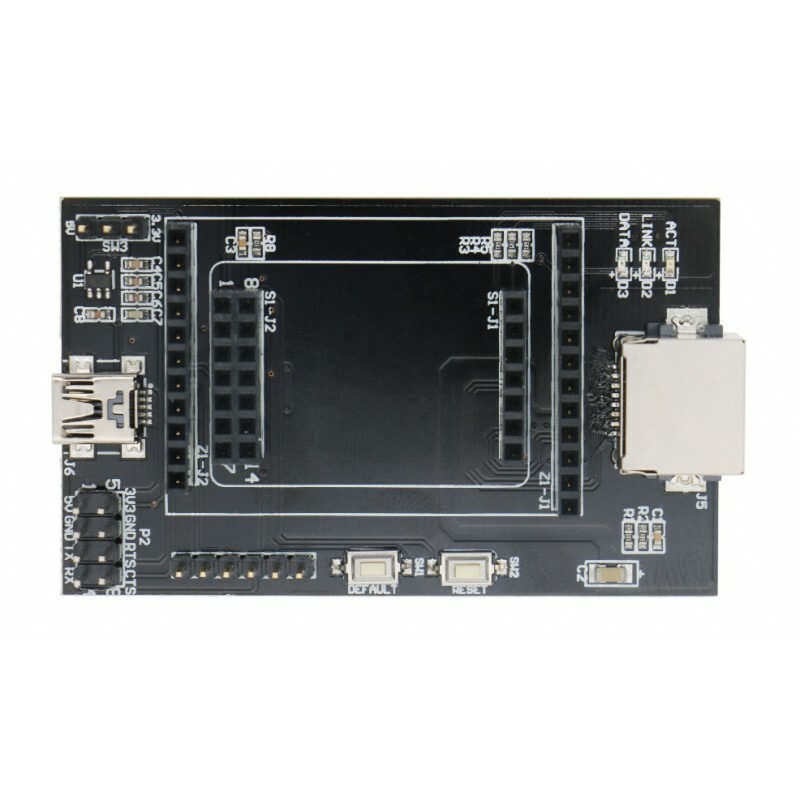 W7500S2E integrated with the hardwired TCP/IP protocol MCU W7500/W7500P. This enables a faster, stable and secure Ethernet connectivity. With reference schematic(s) and guideline(s) in this user manual, user can simplify the design and reduce development time. W7500S2E provides three types configuration methods for user to operate with the module. Powerful and small software tool for socket testing. It can create both TCP and UDP client or server. It can be used to test any server or client that uses TCP or UDP protocol to communicate. It can be used to change the device that is connected to the PC through the existing serial interface to control by the remote Ethernet network.